Meet Justin Adkins! 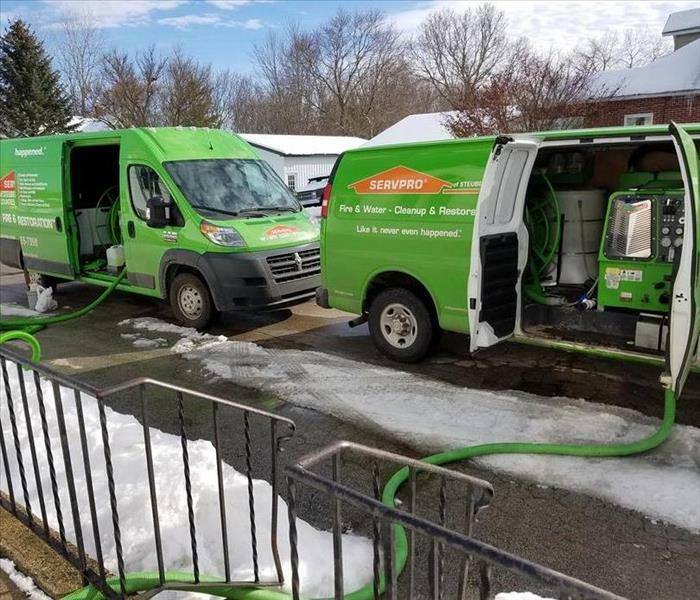 Justin is the Owner, Project Manager, and the Estimator for SERVPRO of Steuben, DeKalb, and LaGrange. Justin has 17 years of experience in water and fire damage restoration. He started his career while he was still in high school working as a franchise employee in MI for 8 years. 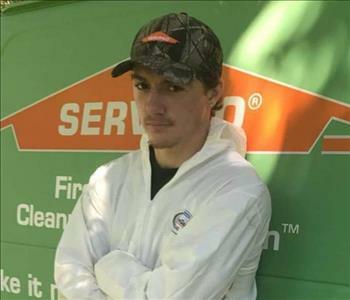 After high school Justin worked at SERVPRO during the day and attended college at night. Mr. Adkins aspired to open his own SERVPRO and worked hard to do so. His locally owned and operated business has been open for nearly 10 years. Justin is certified with the IICRC in water damage, applied structural drying, health and safety, mold remediation, carpet cleaning, and upholstery cleaning. He has also completed training for lead base paint renovation. Justin spends his free time enjoying fishing, motocross, snowboarding, golf and hockey just to name a few. This company was a dream that is now a passion. His main hobby is helping people get through the disaster that unexpected water or fire damage can cause. Meet Kurt Zimmerman! 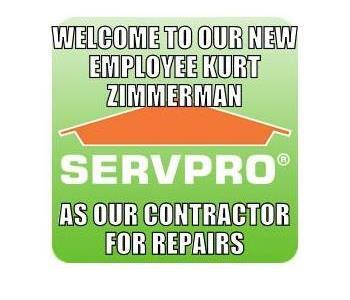 Kurt is our newest employee at SERVPRO. Kurt has owned his own construction business for over 25 years. He has done everything from foundation to finish and everything in between. Kurt enjoys spending time on his family farm, living off the land and sharing time with his wife of 34 years. Kurt has 2 daughters and 5 grandchildren and enjoys sharing Sunday dinner with them. We are excited for Kurt to join our team and help with our repair jobs! Welcome Kurt!! Meet April Zimmerman! April is a production and cleaning tech here at SERVPRO! This photo captured on the job shows everyone how much she enjoys and how much we enjoy her working with us.Happy and excited! April's passions include reading and writing. She loves to paint and enjoys her family. She likes watching her grandsons friday night football games, family bonfires, autumn hayrides and school Christmas programs. She loves hanging laundry on the line, cooking and baking, bird watching and gardening. She grew up in a big family and love and compassion exceeded anything else. April believes SERVPRO is a perfect fit for her because she loves helping others and exceeding in the love and compassion she grew up with especially in a time of need. What a great contribution April is to our company!